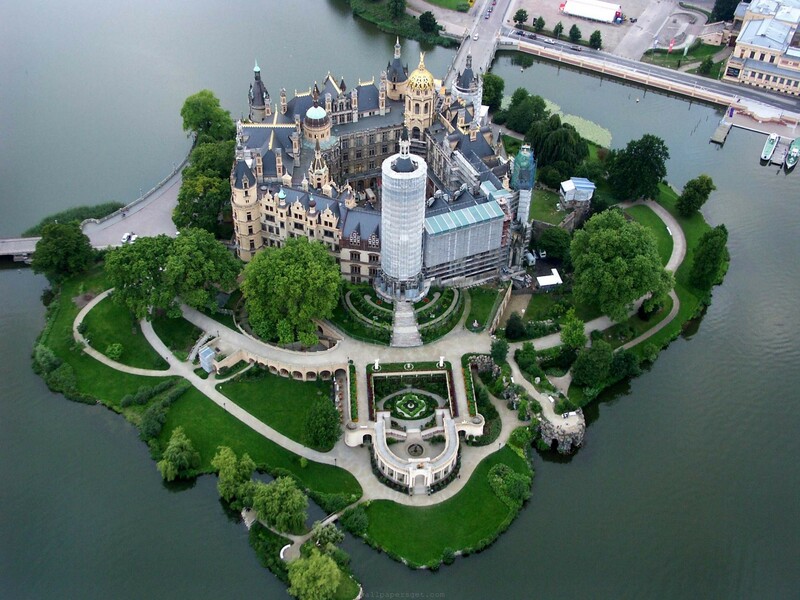 Schwerin Schloss is a centuries old Palace located on an island in Schweriner See lake, in Schwerin city of Germany. The palace is in the Mecklenburg-Vorpommern state and thus early dukes and grand dukes of Mechlenburg have lived there for centuries. The traces of this castle were found even in the 10th century. A fire in 1913 damaged a large part of the palace, it was later restored. The castle has since served as a museum and a seat of the state parliament. It is soon to become a World Heritage Site. Early mentions of Schwerin were found around 10th century in 973 AD. There are records of Polabian Slav tribe having a fort in the same place. This front view of Palace shows a connecting bridge as well. A small statue can be seen erected in the garden of the palace. 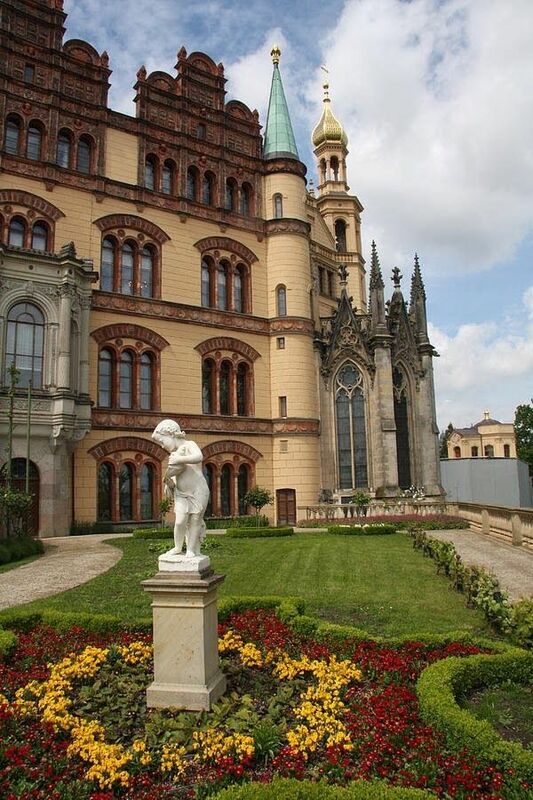 The orangery of Schwerin Castle was built in 1853.